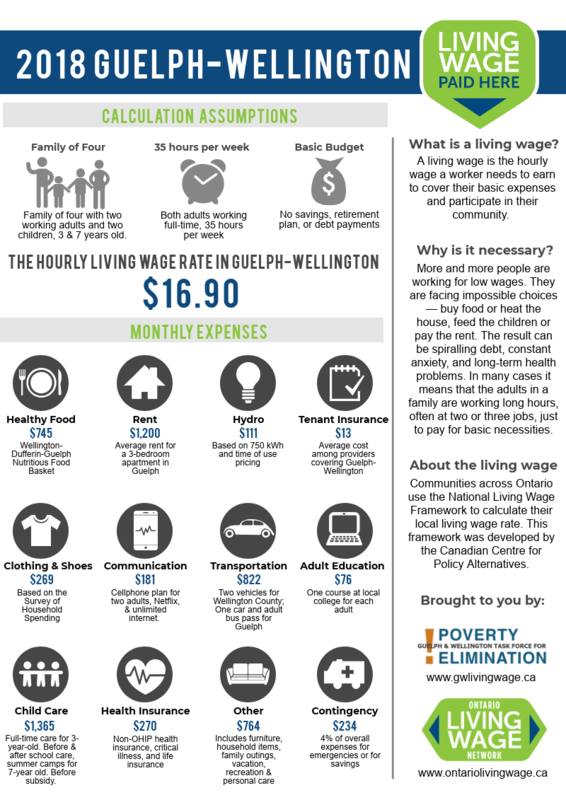 The Guelph & Wellington Task Force for Poverty Elimination (Poverty Task Force) calculates the living wage for Guelph-Wellington with support from the Ontario Living Wage Network. The Living Wage was last updated in November 2018. The hourly living wage for Guelph and Wellington is $16.90 per hour.